We can set you up with one our excellent mortgage professionals to get you pre-qualified for the type of financing that suits you best. 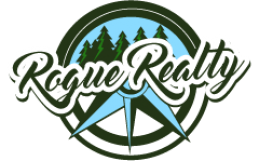 We will get to know you and your needs and wants in order to help you find a home that not only suits your price range, but that will suit your life. We will set you a up with an MLS® customer portal where you will be updated on new listings and price changes the minute they happen, not hours or days later. We will show you homes listed by any brokerage, not just our own. We don't use any high pressure sales tactics whatsoever, we want to find you the right home, no matter how long it takes. We will negotiate on your behalf the best price for the home of your choice, and we will make sure you understand every part of the contract. We will help you choose a title company and arrange for closing, and we will be there for you every step of the way right up to the closing table. When we say start to finish, we really mean it. The best part about all of this, is that full service buyer representation from one of our experienced agents is completely FREE. No retainers, no administrative fees, nothing. If you're ready to get started, or would just like more info, fill out the form below and you'll be contacted by one of our agents shortly.